Lovely and great location. Paola was very helpful and nice!! This a great home. Our family really enjoyed it. Great host! We had a wonderful, relaxing time here. Paola and her daughters were very accommodating, friendly, and hospitable! I would highly recommend staying here! Thanks for your review, hope to see you soon again! "The accomodation was well equipped and clean, set on a farm with lovely views over the countryside. The owners were very friendly and helpful, though it was difficult to find the house on the first night. We have left directions to the house (in English) with the owners to give to subsequent renters prior to arrival.The large supermarket in Lastra a Signa is easily accessible by car, as is the railway station in Signa (lots of free parking) with direct and fast links to Florence and Pisa. 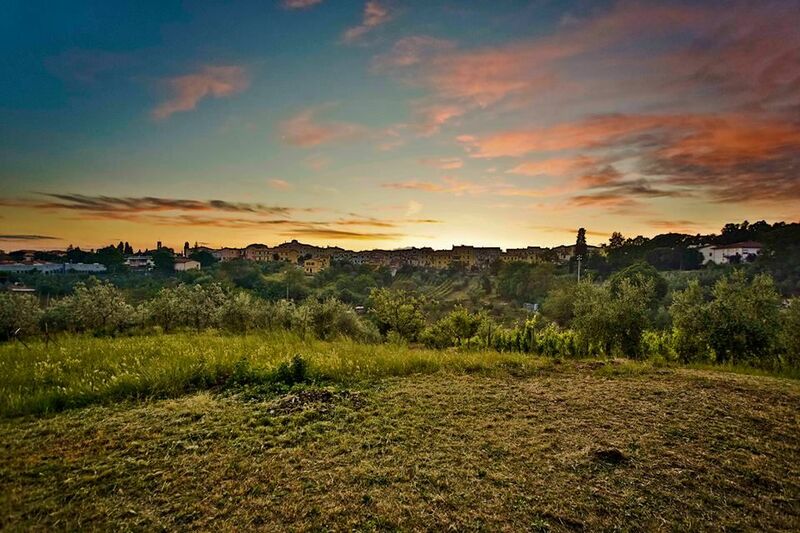 A good place to stay when exploring Florence, Pisa and the surrounding countryside." Séjour très agréable dans une très belle région. Nous conseillons à qui aime la campagne, c'est reposant et calme. Leave the A1 autostrada at the Scandicci juntion: After the toll follow direction Pisa/Livorno onto the FI-PI-LI superstrada. Leave the superstrada at the first exit, signed Lastra a Signa. Turn right at the botton of the slip road to enter Lastra a Signa.Go straight on at the roundabout then on the main road until the first set of traffic lights. Here turn left down via A. Diaz (direction Malmantile), then left again at a T juntction to leave Lastra a Signa. Climb a hill to pick up signs to Malmantile, follow these into the village. In Malmantile, drop down a hill, pass Piazza Piave on the right then turn left immediately after Bar Centrale. Follow the paved track trough greenery until it ends at number 281.